Earlier in the year I went along to an NHS England workshop about sepsis. It was aimed at staff from across health and social care who want to help people with a learning disability and their families and carers spot the signs of sepsis and take prompt action to reduce the chance of serious harm and death. It was there I met Liz Herriven, an emergency medicine consultant, whose daughter Amy has Down’s syndrome and autism. Amy has suffered sepsis several times in her 12 years, and I asked Liz if she would be willing to travel to London to help me make a podcast. Together we wanted to talk about sepsis and learning difficulties from both a doctor and a patient perspective. There are challenges for both sides when dealing with the disease. So what is sepsis? To put it simply sepsis is infection. Everybody gets infections from time to time, and usually the immune system fights off the bugs and that’s the end of it. But in sepsis, for reasons we are not entirely sure of, the immune system goes into overdrive and attacks the body as well as the bug. When this happens, we need to act fast and get people to hospital. However, sepsis can be hard to spot. Symptoms are often vague and can easily be mistaken for signs of much more common and milder illness. For Amy this meant a week in intensive care after she developed sepsis when she had chicken pox. Initially Liz felt this was another mild childhood illness that was good to get out of the way, but within hours of the spots appearing, she became very unwell and needed airlifting to hospital. People with a learning disability, autism or both are more at risk from sepsis than other people and they are at higher risk of infection and get sicker, faster. People often have trouble communicating when they are ill, or doctors may believe that signs of sepsis are a normal part of their pre-existing illness. This is called diagnostic over-shadowing, and Liz talks about it in the podcast. When a person with a learning difficulty is unwell because of infection we want everyone involved to think ‘could this be sepsis?’ If we are all looking for it, we are less likely to miss it. What should patients and carers look for? Key things are changes in behaviour, colour, skin, breathing and temperature. These changes may include someone become sleepier, confused, agitated or generally unsettled. High temperatures are not always something to worry about but if the temperature drops low, below 36.0°C, this can be a worrying sign, especially if they were very hot previously. Patients with an infection or a temperature will often breathe more quickly, especially if they are very hot or have a cold. However, if their breathing is very fast, or it looks like they are working very hard to breath, then you should seek help or advice quickly. If they are very pale, or mottled, or if they feel cold and clammy to the touch then again seek advice. Keep an eye out for rashes, and if they have one, perform a glass test. If the rash doesn’t disappear when the glass is pressed against it, this could be a sign of sepsis, and you should always ring 999 for urgent advice. If the rash does disappear this is less worrying but remember to keep testing it as rashes can change, and even if the rash doesn’t disappear under the glass, if you are worried call for advice. Trust your instincts. You know yourself, your relative or the person you are caring for. If you are worried about sepsis, then pick up the phone and talk to someone. If the patient is changing very fast, and becoming more unwell quickly, don’t be afraid to ring 999 and tell them you are worried about sepsis. If you see a doctor and they don’t feel that a person has sepsis, ask for a leaflet to take away with you, so you know what to keep an eye out for. There are lots of information leaflets available, as well as online videos, which show the signs of sepsis and there are easy-read leaflets aimed specifically at people with a learning disability. As part of the RCGP sepsis clinical priority, an online toolkit has been created which hosts a variety of these resources and more. You don’t have to be a GP to access it and there is a section for patients and carers with links to lots of sources of information. You can listen to the the sepsis podcast here. 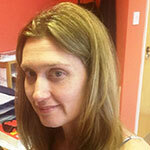 Dr Rachel Marsden is a first five GP from Sheffield working as a salaried GP near the Derbyshire border. She is also involved in undergraduate teaching and out of hours provision and has been the clinical support fellow for sepsis at the Royal College of General Practitioners since April 2017.